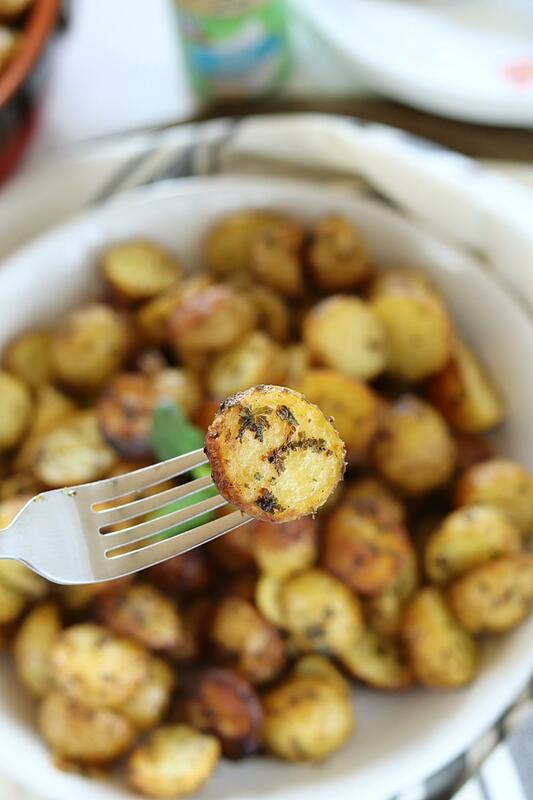 3 Ingredient Crispy Oven Baked Garlic Ranch Potatoes are the perfect accompaniment to any meal. These potatoes have a crispy, crunchy outside and a soft tender inside – absolutely delicious and impossible to resist! Raise your hands if you want a bite of these 3 Ingredient Crispy Oven-baked Garlic Ranch Potatoes. 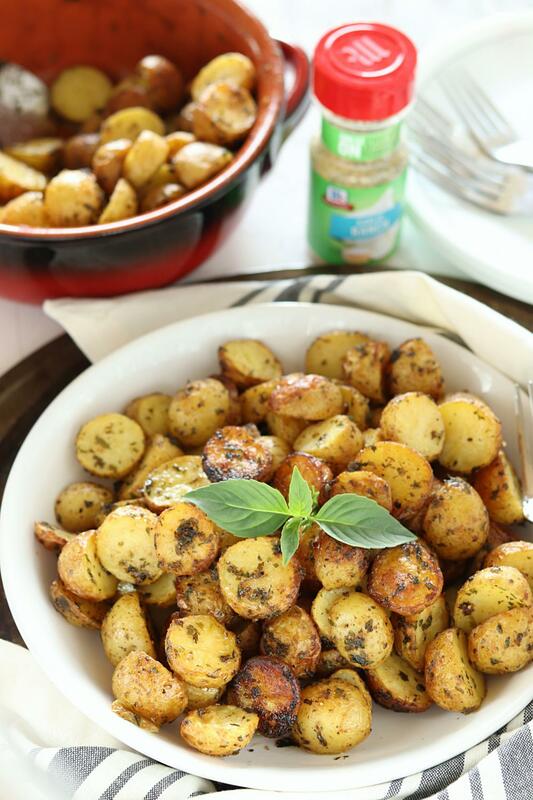 These potatoes drizzled with olive oil and flavored with McCormick Garlic Seasoning Blends has your name written all over it. These tender yet crispy potatoes can be served on their own as a snack or paired along with the main dish to create a complete meal. Either way, they taste amazing. 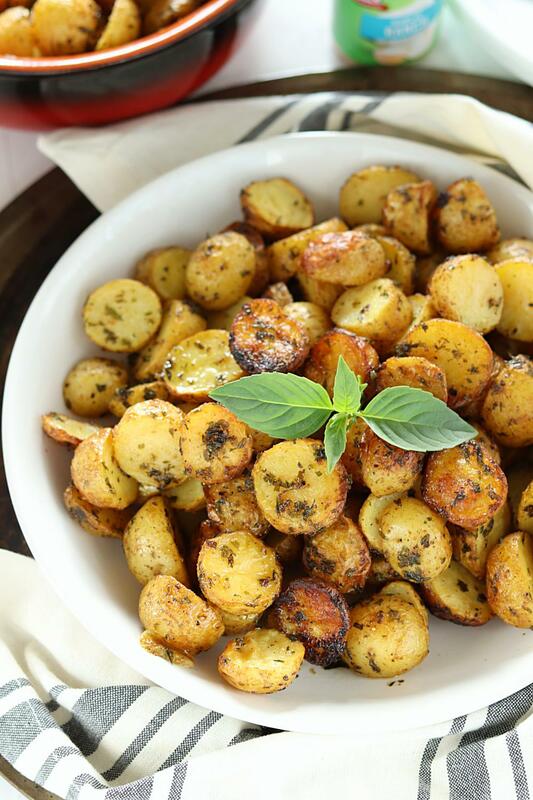 These oven-baked potatoes are the perfect side dish for your upcoming party or potluck dinner. 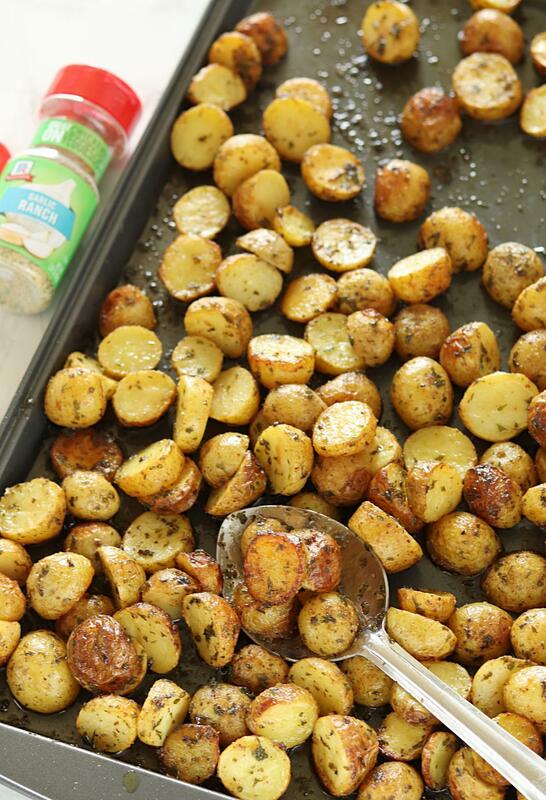 But what makes these potatoes extra amazing? It’s a secret ingredient: McCormick Garlic, Ranch Seasoning! 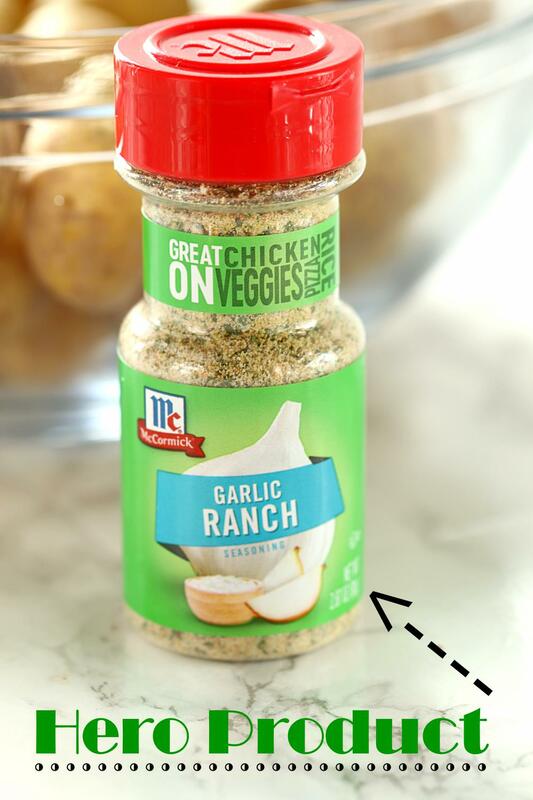 New McCormick Garlic Seasoning Blends are very versatile and have transparent ingredients. These blends take garlic to a whole new level and make cooking a breeze. 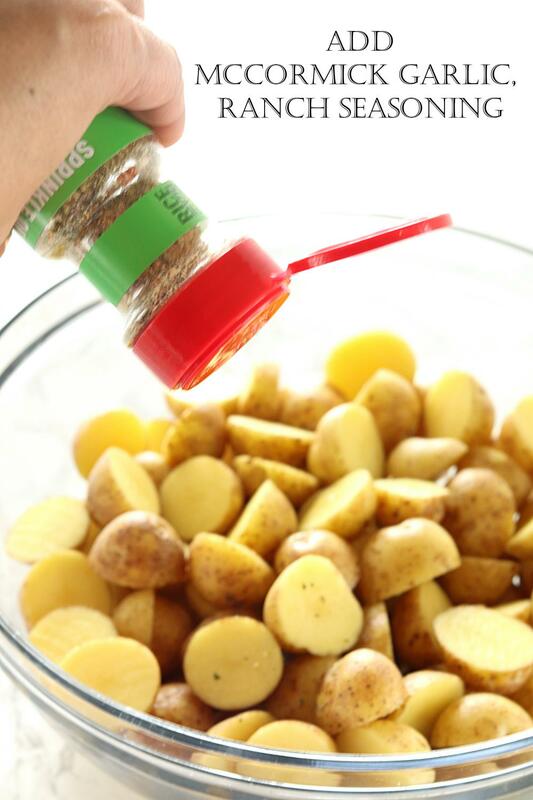 Garlic Blends can be used anywhere (veggies or meats) you use garlic powder – before, during or after cooking. They take away all the guesswork out of flavoring your dishes and add an extra boost of flavor. Now that’s called “recipe-free cooking“! 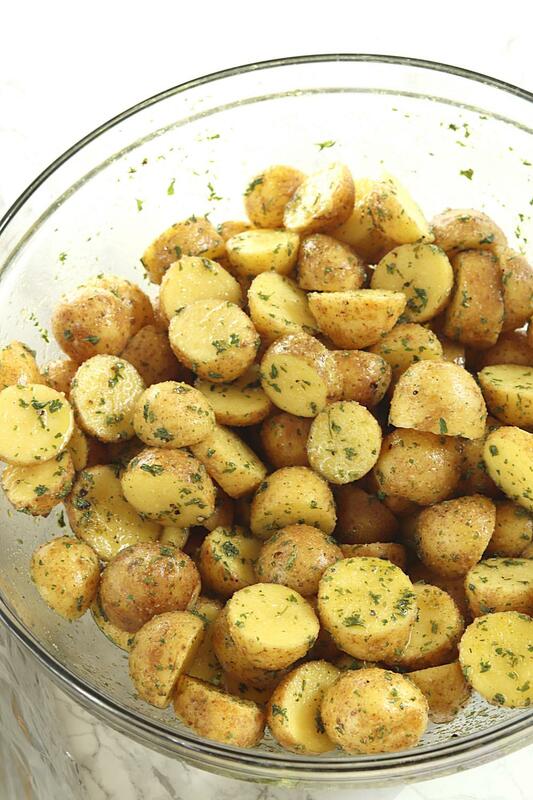 How to bake Crispy Oven-baked Garlic Ranch Potatoes? In a nutshell, a UNIVERSAL crowd-pleasing appetizer that will make your guests coming back for seconds. So delicious and addictive! Baby potatoes are not always in season. 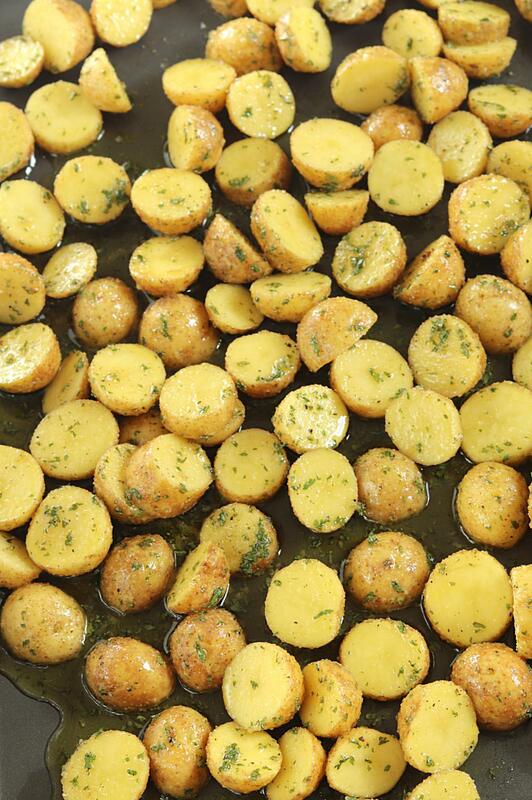 As a substitute, you can use regular potatoes and cut them into 1-inch size pieces. Don’t peel the baby potatoes as they have a gentle skin that is delicious and eatable. 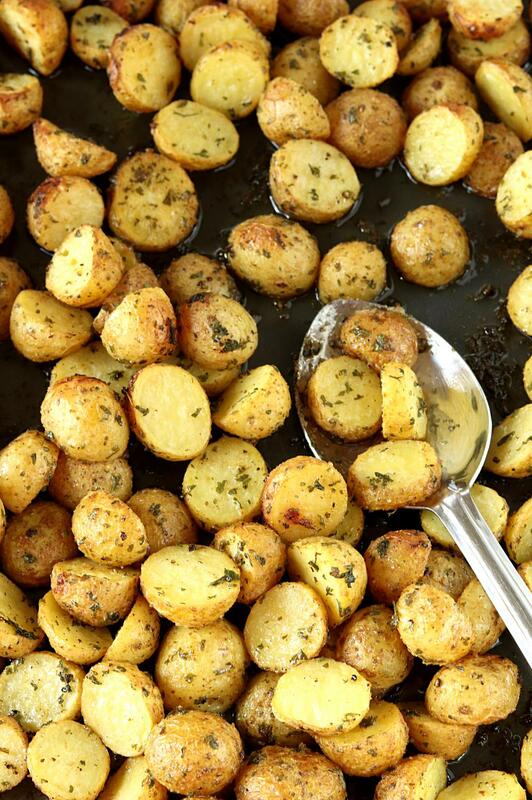 With or without skin, these oven-baked potatoes taste equally delicious. Just toss these babies in olive oil, salt, and McCormick Garlic Seasoning Blends and bake until fork- tender and crisp. And that’s it. You are done. That’s the beauty of this dish! A simple side-dish that comes together in minutes and will be on the table in 40 minutes!! 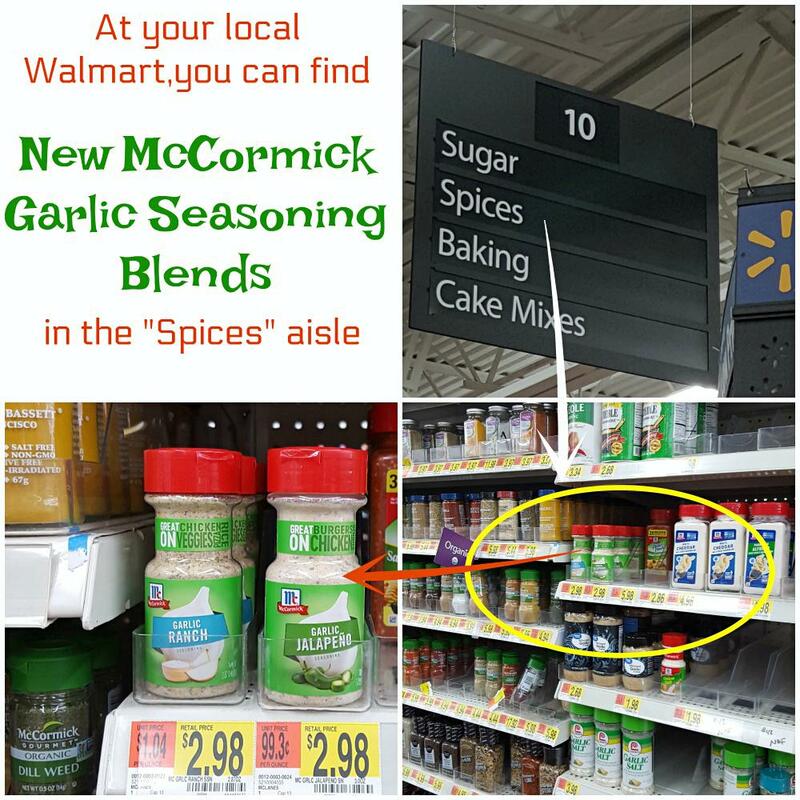 If you are headed out to your nearby Walmart store, then don’t forget to check out this NEW McCormick Garlic Seasoning Blends in their Spices aisle. 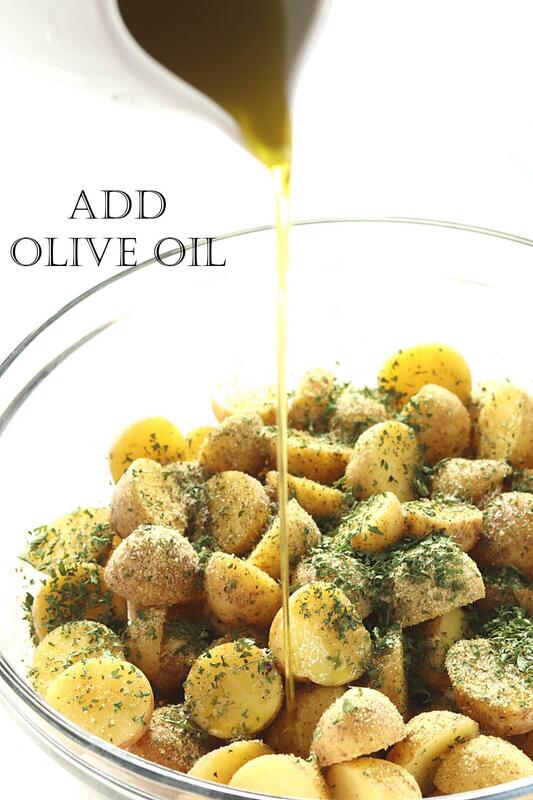 Do give this recipe a try and share with me your favorite McCormick Garlic Seasoning Blends. 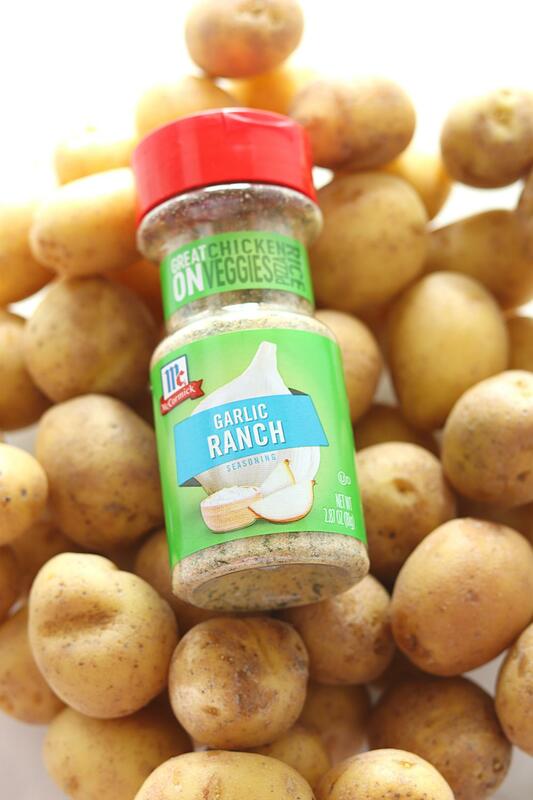 3 Ingredient Crispy Oven Baked Garlic Ranch Potatoes are the perfect accompaniment to any meal. These potatoes has a crispy crunchy outside and a soft tender inside - absolutely delicious and impossible to resist! Assemble ingredients. 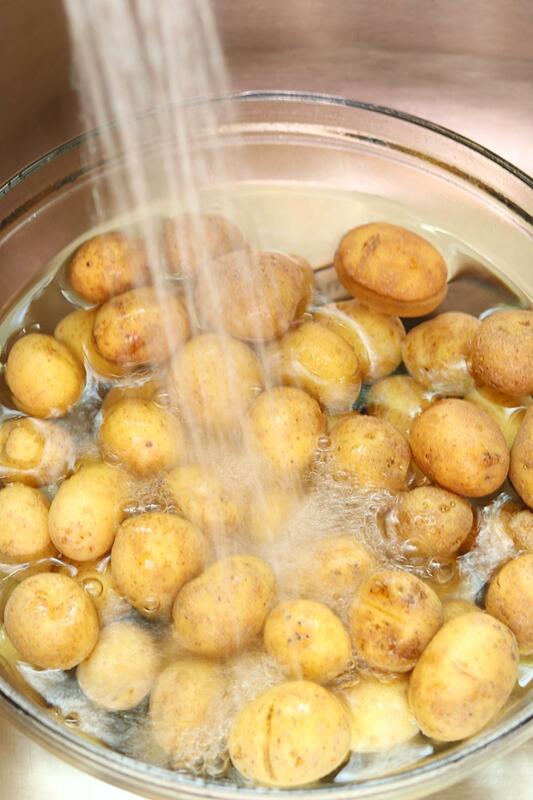 Preheat oven @ 400 degree F.
Wash potatoes under running tap water and rub them to get rid of all the dirt and impurities. Pat them dry. 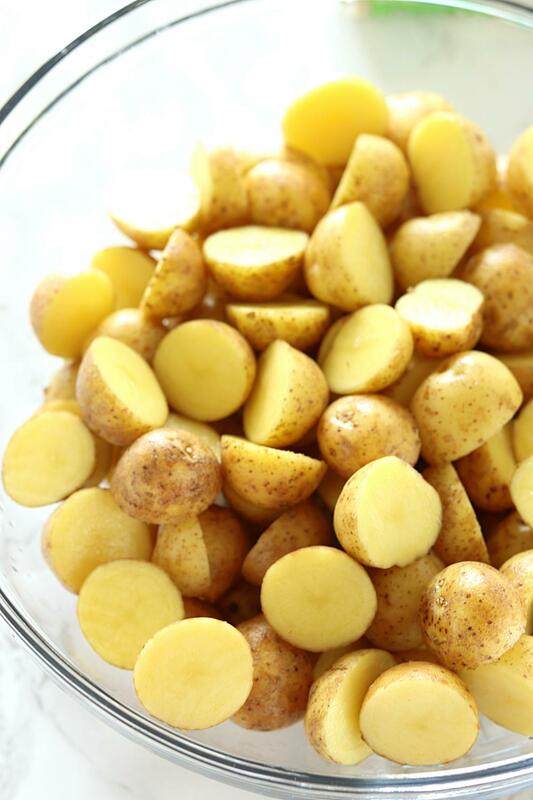 Don’t peel the baby potatoes as they have a very thin and gentle skin and that is absolutely delicious and eatable. Cut potatoes in halves. Add McCormick Garlic, Ranch Seasoning, salt and pepper (optional) and toss until well combined. 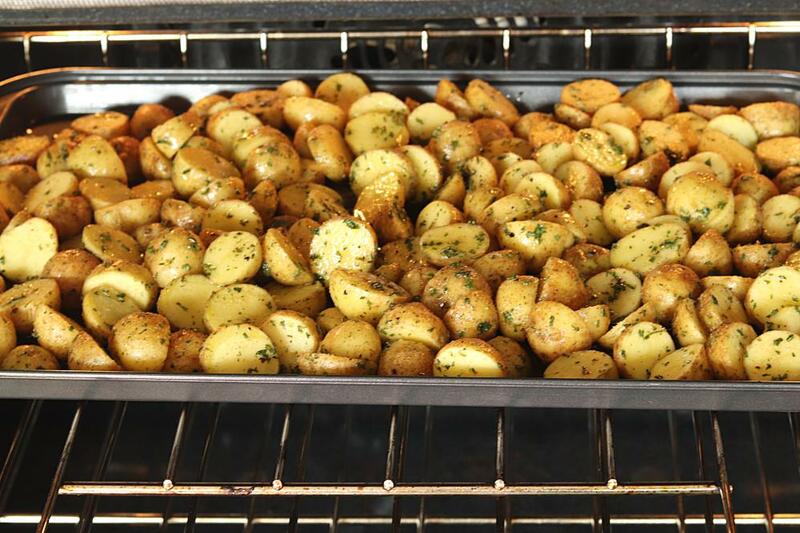 Spread seasoned potatoes on a baking tray in a single layer. Until potatoes are fork tender and gently crisp. 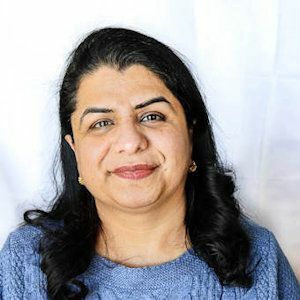 Sounds amazing Ruchi will definitely try them. Thank you .